See a difference? Looks like the same guy right? Actually not though. Snoop Dogg is the man that provides the gangsta, melodic g-funk style to the world that is the anthem for stoner-tumblrs all around. 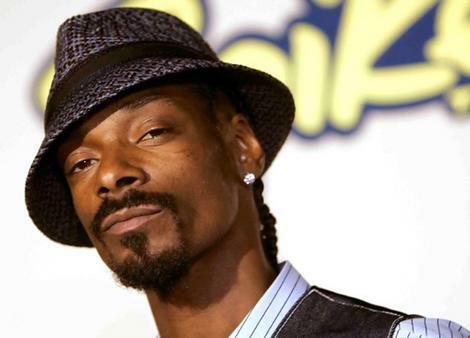 Snoop Lion is the new man making that reggae, dub type of sound that is the anthem for stoner-tumblrs all around. Basically same person with a new revitalized outlook on life when he was rechristened Snoop Lion by a Rastafarian priest in Jamaica. Gonna be honest, I thought he was whack as hell when he decided to change his name and frankly, I thought it sounded stupid as hell. But just started listening to some of his new ish…damn this dude knew what was doing. I never really thought there was a difference in chill music, but you can definitely hear from Dogg to Lion. Introducing “Here Comes the King”, produced by Major Lazer, off the expected album “Reincarnated” that should come out early 2013. Holy damn. You know those songs that you listen to for about 20 seconds and you just KNOW that it’s going to be awesome? Yup. This track right here. Blending a bit of the chill, slow reggae, with a sliver of dubstep, some female harmonizing, and the rap and you end up getting a super chill, head-bobbing banger. While not quite leaning in any specific direction, the song touches upon all the bases of its beat and doesn’t emphasize on anything specific, making for a well-rounded track. Angela Hunte, featured on the track is perfect for the chorus. The meaning of those lyrics? I’m surprised there isn’t one swear word, but it sounds a lot like everything Snoop is saying is a response to the haters who think his new stuff is whack. I don’t even know what to say about the track really, I’m just so taken aback by how good Snoop Lion is sounding. I thought the name change was stupid but on the real, just think about it. The man, behind all that weed, knows what he’s doing. Going from a pretty damn good rapper, like a top Dogg and taking up a higher calling into a Lion? Snoop Lion beats Snoop Lion. He doesn’t have much out yet, but keep an eye out, the King is coming. Looking at Chris’ Bumbershoot post, I scanned around to check out some of the other artists. First up on this list is Lee Fields, a man who has been in the music business for over four decades now. He spent his adolescence years singing in church and listening to R&B Artists such as James Brown, The Temptations, Eddie Floyd, Otis Redding and the classic sound of 60’s Memphis. Here’s the bio about the band straight off their facebook page. I’ll bold the lines that are just plain awesome to read aloud. “When Truth & Soul started as a record label in 2004, the first mission of label owners Jeff Silverman and Leon Michels, was to record a sweet soul record that would be modeled after the near perfect formula that bands like The Moments, The Delfonics, and The Stylistics had created. Music that was both tough as nails and sweet as honey. Music with laced with lush strings and smooth vocal harmonies layered over hard-hitting rhythms. Michels and Silverman called in a few trusty associates, which included singer Lee Fields, and recorded the single “Do You Love Me” b/w “Honey Dove”. What happened in the studio was pure magic and thus, The Expressions were born. After listening to his song “I Still Got It”, I am definitely going to make an appointment to check out the live show with the good Doctor of Soul. The song is aching with pain, but still evokes a sense of defiance in the face of unfavorable circumstances. The chorus of “I still got it” not only signifies that the soulful sound is still kicking around, but it is demanding that some attention be shifted to this powerful work. If you like soul music, you will love these guys. If you don’t like soul music, go check out their live show anyway. The sheer strength and charisma of this recording should persuade you to give it a shot.